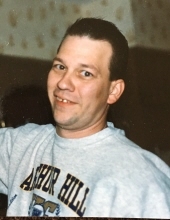 DIXON, Thomas Michael --Age 60, of Grand Blanc, died October 13, 2018. Arrangements provided by Sharp Funeral Homes, Miller Road Chapel. Our temporary location at Hill Creek Church, 5363 Hill Rd., Swartz Creek. Thomas was born October 4, 1958 in Saginaw the son of John Eugene and Ruth Doreen (Chartrand) Dixon. He had a love of camping, family and bird watching, he also loved cats, especially his companion for 15 years Mystic. He enjoyed basketball and played at Arthur Hill. He was a Math Teacher at Flint Central High School for many years. Surviving are: children, Sarah Dixon, Anne (Adam) Bujala, Daniel Dixon, Rachel Dixon, and Misty Fielder; grandson, Henryk Bujala; granddaughter, Morgan Fielder; mother Ruth Doreen Dixon; brothers, John Dixon, and James Dixon; several nieces and nephews. Thomas was preceded in death by his father, John Eugene Dixon Sr.; brother Robert Dixon. Thomas was at peace with Colleen. Tributes may be shared at www.sharpfuneralhomes.com. To send flowers or a remembrance gift to the family of Thomas Michael Dixon, please visit our Tribute Store. "Email Address" would like to share the life celebration of Thomas Michael Dixon. Click on the "link" to go to share a favorite memory or leave a condolence message for the family.